Doc’s Motorcycle Parts has begun this years Winter Restoration project. 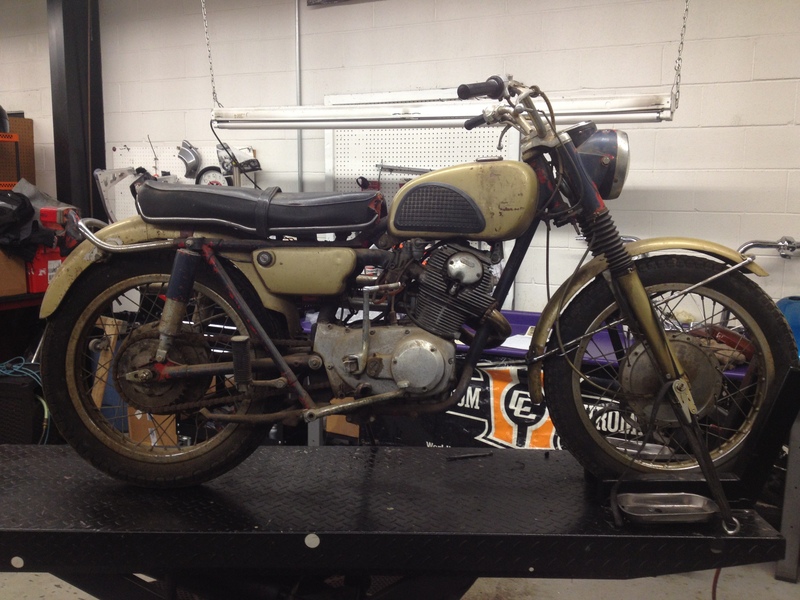 The Customer is looking to restore his 1966 Honda Scrambler 305 (CL77). Doc’s Motorcycle Parts is looking forward to making another customer happy with the type of motorcycle restoration that he is looking for. In this case we are going to get the bike as close to original as possible within the guidelines and direction of the customer. With that said, he is not looking for a “show-stopper” restoration, but we are confident that he is going to be blown away with the outcome. Doc’s Motorcycle Parts was established in 1969 and is a complete Motorcycle Superstore, with Parts, Apparel, and full service department. Doc’s also has the following specialized departments: Motorcycle Restoration, Vintage Motorcycles and Salvage, and Custom Bike Building. 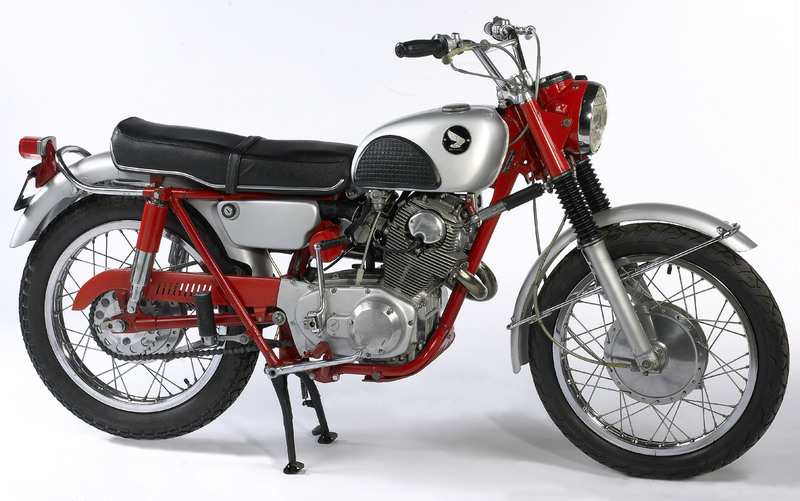 “The Honda CL77 or Scrambler 305 was the off-road or scrambler version of the Honda C77 Dream and the CB77 Super Hawk of the 1960s. Scramblers, designated CL by Honda, differed from the sport bikes (designated CB) to allow for some off-road riding. The CL77 differed from the CB77 Super Hawk in a number of ways. To increase ground clearance, it had upswept exhaust pipes running along the bike’s left side. A bigger tube frame with a front downtube gave extra strength and ran through the space where the electric starter was mounted in the CB and CA models. Eliminating the starter gave clearance in the frame, and lightened the total weight of the bike. It had a small-capacity painted fuel tank, fork boots, 19-inch front and rear wheels, coarser-tread tires (called universals), a taller handlebar with cross-brace, and abbreviated fenders. Early models had painted aluminum fenders. The 305.4 cc (18.64 cu in) overhead cam engine had a redline of 9000 rpm and contrasted sharply from the low-revving European and American bikes of the day. Running straight pipes with small internal baffles, CL77s featured a loud and very distinct sound from the 180 degree firing order of this parallel twin.Many of these motorcycles featured aftermarket snuff-or-nots (commonly misspoken as “snuffer nuts”),which featured a flat washer like piece of metal which pivoted just inside the tips of the exhaust pipes to quiet or increase the sound of the motor at any time during operation simply by twisting the external knob.